As with most watchOS and Watch hardware updates, Apple has released some new watchfaces to take advantage of new features and capabilities. In the case of the Series 4, Apple has released two new faces that are unique to this device. 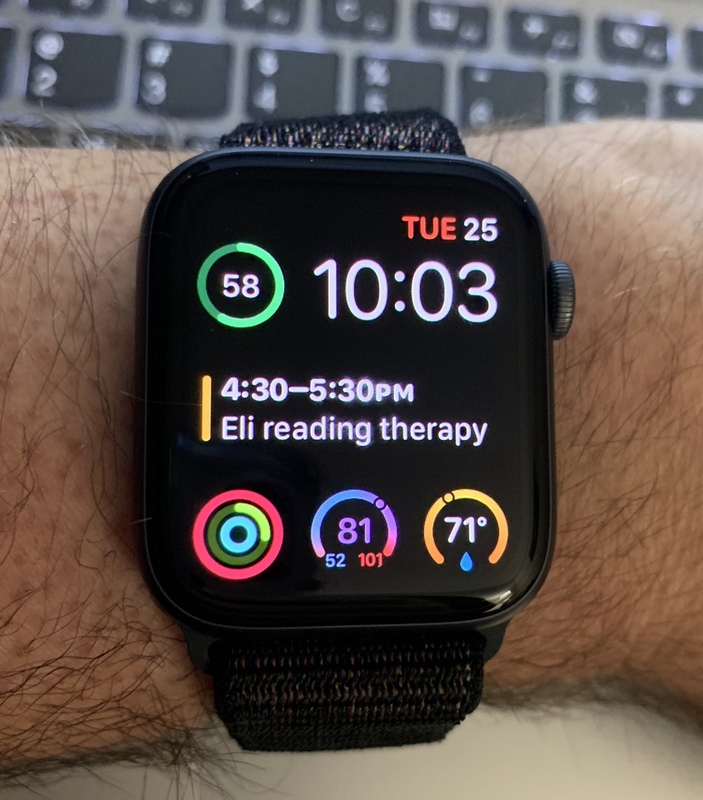 While the new Infograph watchface has drawn a little criticism from some reviewers and users for how busy and over the top colorful it is, that information density has a purpose. 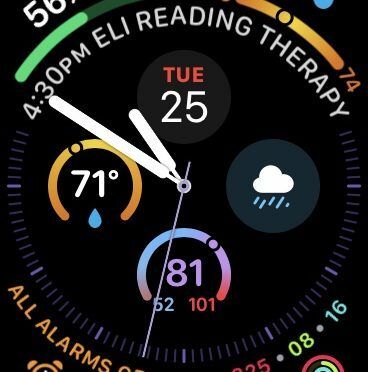 This face is obviously designed to show off the Series 4’s bigger, better screen which can now display more information to the user at a single glance. While the Infograph face may not be for everyone, that is more a matter of personal preference than bad design. In fact, I have also heard from a few people who actually like it. As for me, I prefer the Infograph Modular watchface shown in the first picture above. It still shows off the screen’s increased resolution, but in a slightly more subdued way. The one major limitation of these two new watchfaces is that they are not compatible with any previously designed Complications. To plant their flag in this prime real estate, developers will have to redesign new ones from the ground up. All that room on the Infograph face, and unfortunately there are precious few apps available to fill it up at the moment. 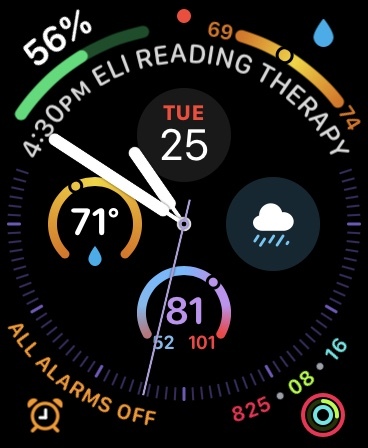 In my case, there are only five third party complications that are compatible right now: CARROT Weather, Drafts, Heartwatch, Outcast, and Waterminder. Out of those, I only care to have CARROT and Heartwatch visible all the time. This is understandable from Apple’s point of view. They want to show off their best new feature- the Series 4’s beautiful new screen. What better way to do it than making devs adhere to some new resolution, size, and shape guidelines? This should insure that the user experience stays at a high level and I can’t blame them for that. I also can’t blame developers for taking their time to get their new Complications right. That said, I hope we start to see new ones available for the Infograph faces very soon. A good Complication on the right watchface can be a very useful thing, but they are in very short supply at the moment. What do you think of Apple’s new Infograph faces for the Series 4? Are you using them? Do you have any favorite Complications so far? Let me know what you think in the Comments section below, on Flipboard, our Facebook page, on Twitter, or on our new Instagram account.